Look for Jeff Krell at the Prism Comics booth at most major comic book conventions! 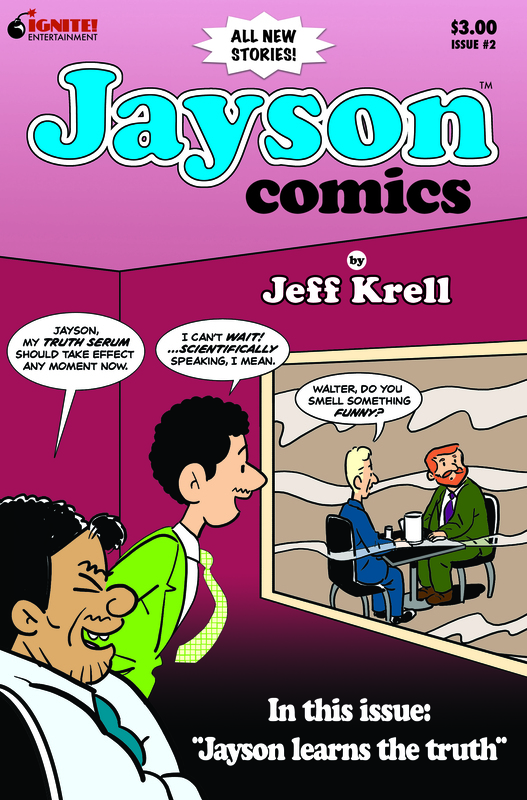 Cartoonist Jeff Krell, creator of the classic gay cartoon series "Jayson," opens up the vault and shares rare comics, photos and other treasures as he tells the story of how "Jayson" came to be. Join Krell as he takes you through "Jayson's" early years, sees him to the highest heights and into the depths, then celebrates his triumphant return for new adventures. Desperate for work, Jayson pulls out the stops to land a job at his ex-lover Walter's company -- with unexpected results. Meanwhile, Arena's parents cut her off and she needs a real job -- fast! And with his specialty DVD business on the skids, Robyn launches a new venture. 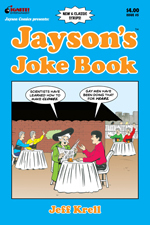 Jayson takes on Tinseltown in this all-new adventure! Can Jayson and Arena track down their mutual ex-boyfriend Ed before Arena's sister lays claim to his sperm? Or will a close encounter with megastar Kevlar DuPont put a royal kink in their plan? Meanwhile back in Philadelphia, Bertha gets the shock of her life on the set of Robyn's latest film. Read stellar reviews from CBR, Edge and Tony Isabella! 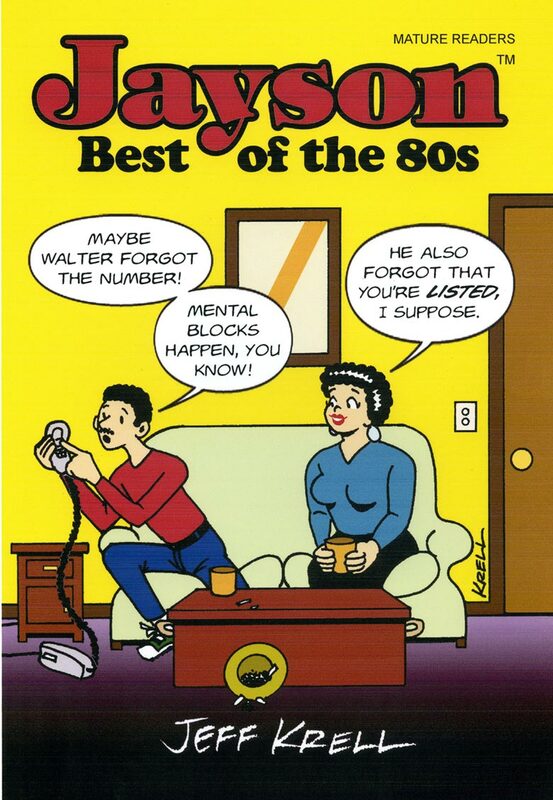 Jayson’s second decade in comics picks up where “Best of the 80s” left off. Will Jayson marry Ed? Is Arena gone for good? And what about Jayson’s mother? Plus close encounters with Christian telemarketers, Sapphic saleswomen, and oversexed aliens. Welcome to the Gay 90s! Witness the birth of a gay icon in this brand-new collection of Jayson’s earliest, most provocative adventures. Includes first appearances in the Philadelphia Gay News, Gay Comix and Meatmen; classic catfights; and a cliffhanger ending that’ll leave you begging for more. 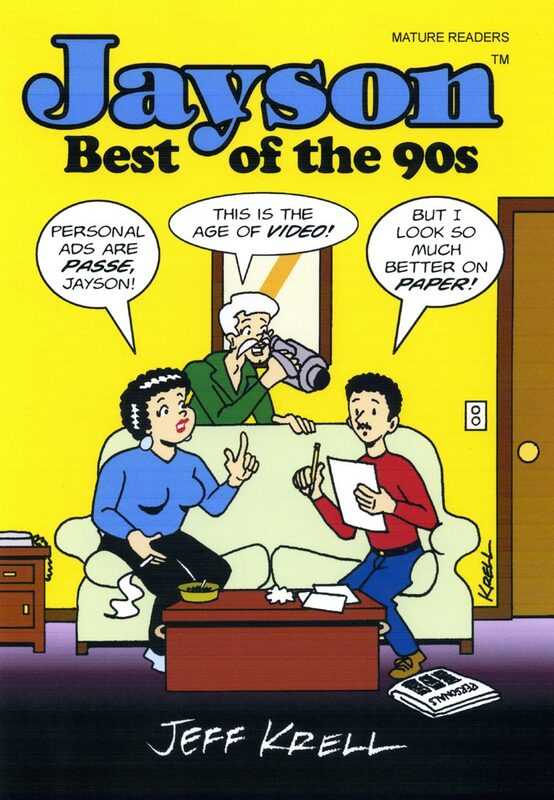 Issue #5 of Jayson Comics contains new, classic, and rarely seen pages from the syndicated "Jayson" comic strip — from 1984 to the present. 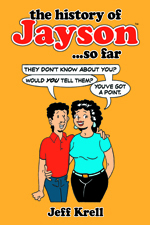 There's even a brand-new board game called "Help Jayson out of the closet!" 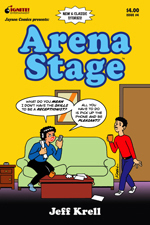 Issue #4 of Jayson Comics presents new, classic, and rarely seen stories and strips featuring Jayson's gal-pal Arena Stage. This supersized issue contains nearly twice the laughs! 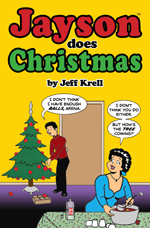 Issue #3 of Jayson Comics contains new, classic, and rarely seen Christmas stories spanning 1983 to the present. Makes a great stocking stuffer for all your friends! Jayson & Arena throw a Christmas party for frenemies & family in this animated short film, now available on both DVD & YouTube! Voice cast includes Matt Crabtree (Jayson), Lisa Joffrey (Arena) & Dino Andrade (Robyn). Makes another great stocking stuffer! DVD is available exclusively from Ignite! Entertainment. Send $6.00 (includes postage/handling) via PayPal to orders@ignite-ent.com. Please specify product code JXP and provide your mailing address! In this issue, Jayson lands a job at his ex-lover Walter's firm, but soon finds out that Walter's husband Steven will be his manager. 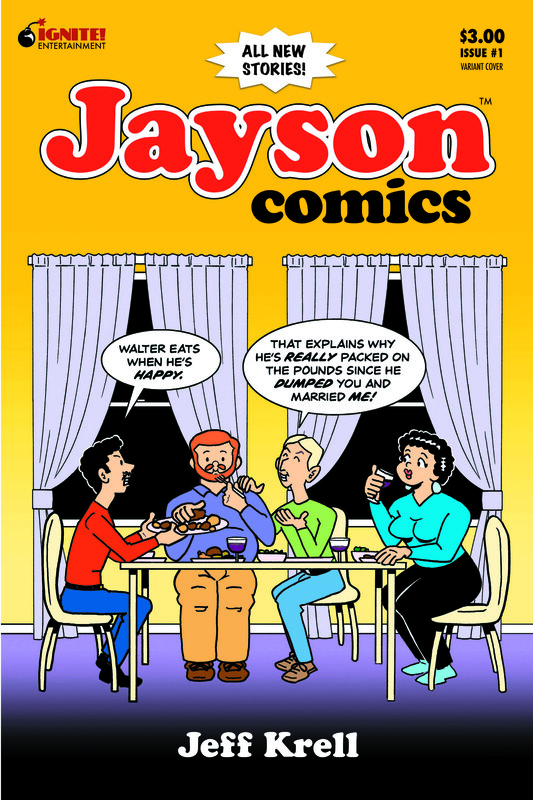 In the debut issue of Jayson Comics, down-and-out Jayson swallows his pride and asks his ex-lover Walter to help him find a job. 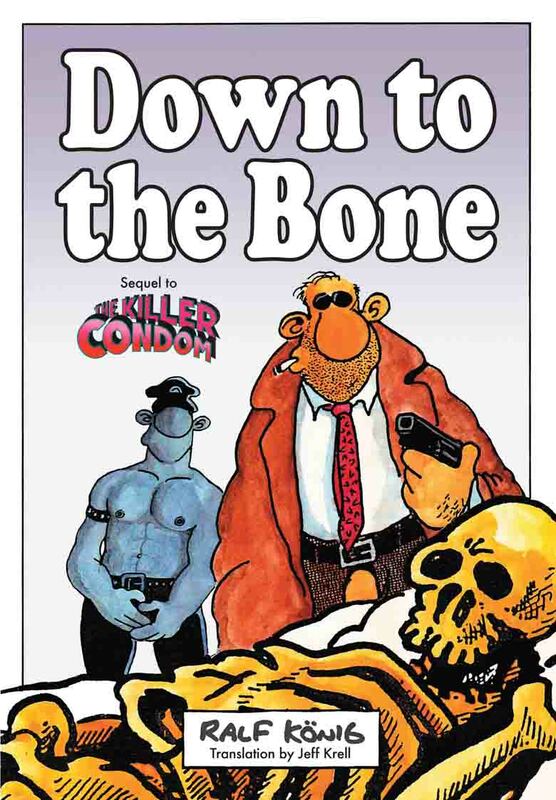 In this long-awaited sequel to Ralf König’s "The Killer Condom," macho gay detective Luigi Macaroni takes on another outrageous case. Someone is killing the gay men of Manhattan and leaving nothing but their bones behind. Can Macaroni catch the killer before New York runs out of targets? Read the Gay Comics List review! It looks like a condom. It feels like a condom. It fits like a condom. But it’s no ordinary condom – it’s a killer! Ralf König’s horror classic, which has been produced as a feature film and staged as a life-sized puppet show, is once again available in English! 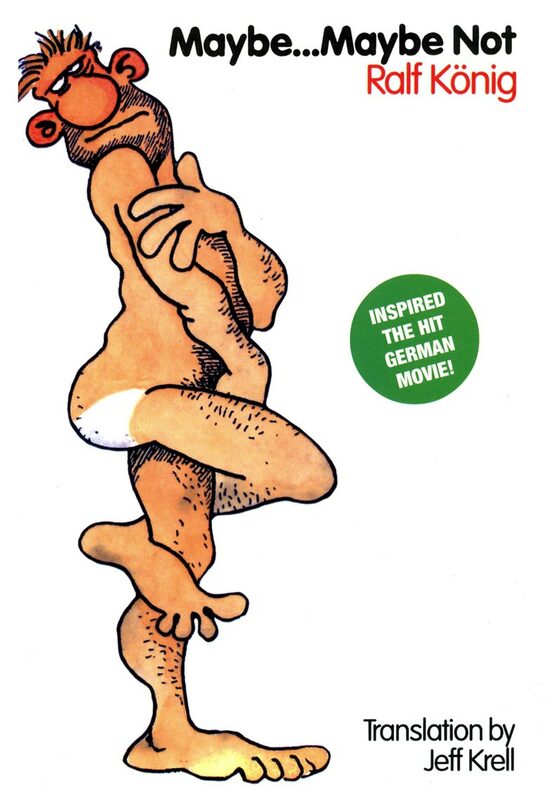 Germany's most popular cartoonist tells the uproarious tale of a heterosexual man who may or may not stay that way. This book and its sequel were the basis for one of the largest grossing movies in German history. Translation by Jeff Krell, creator of "Jayson." Germany's most popular cartoonist tells the uproarious tale of a heterosexual man who may or may not stay that way. This book and its predecessor were the basis for one of the largest grossing movies in German history. Translation by Jeff Krell, creator of "Jayson." Jayson's first collection and the first product of Ignite! Entertainment. inspired the off-Broadway Jayson musical. but used copies can still be found on Amazon.com.